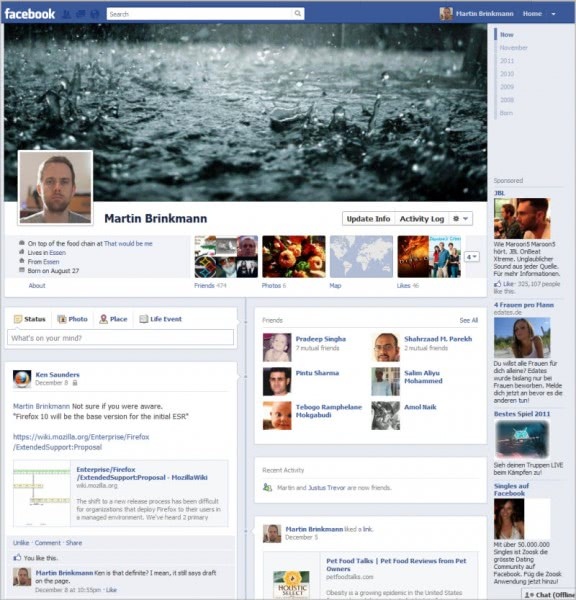 Timeline profiles became available on Facebook at the end of the year 2011 as an optional feature that Facebook users had to actively enable. The change shocked many users of the social networking site, but since no one was forced to switch to the new profile, the outcry quickly died off again, especially since a forced switch to the new profile never happened. Users of Facebook who switched to the new profile on the other hand had to face the fact that they could never go back to the old profile that the majority of users on Facebook were still using. We explained how to avoid Facebook Timeline profiles back in January, but the solutions back then were only temporary, and the only viable option right now is to install userscripts or browser extensions that modify the Timeline profile locally so that you do not see it in your browser (whereas everyone else sees the Timeline profile). It may come as a shock to everyone who is still using the old Facebook profile that the company seems to have made the decision to turn on Timeline profiles for all users in Autumn of 2012. According to Techcrunch, every Facebook user who has not made the switch over to the new profile will be migrated automatically to it by Autumn. Users still on the old profile will receive a prompt eventually that is informing them about the switch to the Timeline profile. As before, there is a seven day migration period in which the old profile will remain active on the site. This is done to give everyone enough time to configure the Timeline profile before it is pushed to the server and becomes visible for everyone on Facebook. Some of the things that you can do in that time is add a profile cover photo and make sure only information that you want to share is shared. You may ask yourself why the company is enforcing the change now, and one of the reasons may be a consistent profile page on the site. Still, there will certainly be some outcry over the forceful migration, but I can’t really see many users quiting the site as a consequence. Are you a user on Facebook? If you are, do you use the new Timeline profile or the old user profile on the site?